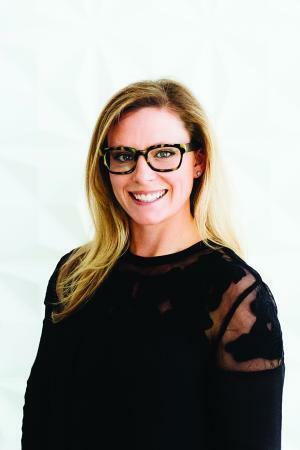 Dr. Jill Bella is the director of professional learning at the McCormick Center for Early Childhood Leadership and is an assistant professor of early childhood education at National Louis University. She is an expert in childhood development, early childhood leadership, and early intervention. Prior to working at the McCormick Center, she worked at several child-care centers and at a hospital as an early intervention specialist and training associate. Dr. Bella is the coauthor of numerous articles, books, and trainer’s guides. 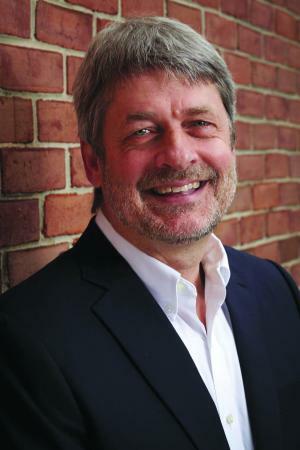 Dr. Michael Abel is the director of research and evaluation at the McCormick Center for Early Childhood Leadership and is an assistant professor of early childhood education at National Louis University. Dr. Abel designs and implements original research studies on administrative practices in early childhood programs and elementary schools. 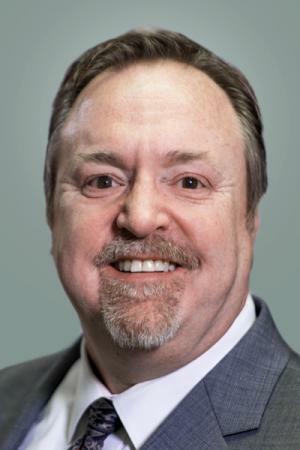 He chairs the Whole Leadership Committee at the McCormick Center and serves the National Association for the Education of Young Children in various capacities. Dr. Teri Talan is the Michael W. Louis chair and senior policy advisor to the McCormick Center for Early Childhood Leadership and a professor of early childhood education at National Louis University. 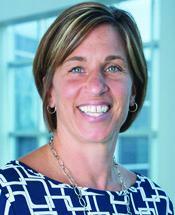 She is a passionate voice for the McCormick Center’s clarion call to action: Leadership Matters: Invest in Leaders. Dr. Talan promotes action by state and national policymakers on early childhood workforce, leadership development, and program-administration issues. Her research focuses on early childhood leadership, workforce development, systems integration, and program quality evaluation. 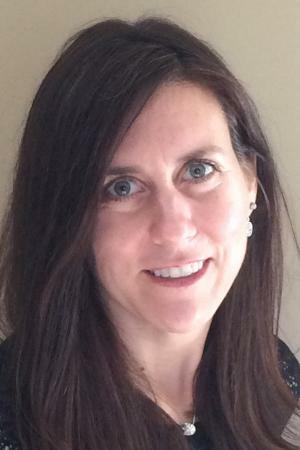 Sarah Nichols is a professional development specialist at the Early Intervention Training Program (EITP), a program of the Department of Special Education in the College of Education at the University of Illinois at Urbana-Champaign. Ms. Nichols specializes in community of practice development, instructional design, and development and facilitation of synchronous and asynchronous web-based learning opportunities. She leads statewide and national communities of practice and manages online workspaces for service coordinators, early interventionists, training consultants, and administrators participating in communities of practice. Ms. Nichols is a member and leader of the CoP Development Group which supports CoP facilitators across the nation who seek and share strategies for developing, growing and sustaining CoPs for professionals in early childhood intervention. Ms. Nichols also leads the Early Intervention-Early Childhood Professional Development Community of Practice (EI-EC PD CoP) and its numerous sub-groups which include professional development specialists, technical assistance providers, faculty, administrators, supervisors and program coordinators from across the nation. Ms. Nichols is a member of the Council for Exceptional Children (CEC), an active member of the Division of Early Childhood (DEC) currently serving as the Professional Development Strand Leader on the Personnel Preparation Committee and is a former Co-Leader for the DEC Professional Development Special Interest Group (DEC PD SIG). Books by Sarah Nichols, B.A. Nancy Surbrook-Goins is the training and technical assistance manager for the Office of Innovative Projects at Clinton County, MI, Regional Educational Service Agency. 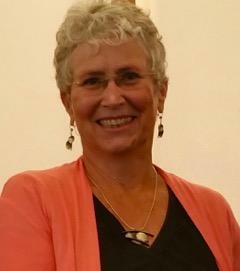 She is responsible for the Comprehensive System of Professional Development (CSPD) of Early On®️ (Michigan’s Early Intervention system), Early Childhood Special Education, and provides expertise on many other statewide projects, such as professional development for the Great Start Readiness Program, Michigan’s state-funded preschool initiative. Ms. Surbrook-Goins serves as professional development chair of the Michigan Division of Early Childhood (DEC) as well as a co-leader of the DEC Community of Practice Development Committee. She is an active advocate for all children in early childhood initiatives and serves as Michigan’s aRPy (Recommended Practices) Ambassador for the Early Childhood Technical Assistance Center, a program of the FPG Child Development Institute. She has previously worked for Northeast Michigan Community Service Agency as a Head Start manager responsible for professional development, St. Clair County Community College and Baker College as an adjunct professor as well as Michigan State University at the Child Development Labs. Kathi Gillaspy is the Director of Technical Assistance at AnLar, a D.C. based firm that provides research and policy analysis, technical assistance, and communications and IT development in the areas of education, human services, and management. Her work focuses on educational and policy programs for district, state, and national projects. She is an expert in early intervention and early childhood special education, long-term systems change, state early childhood systems, professional development, and data management systems. Ms. Gillaspy has facilitated numerous communities of practice and is currently working with the Division of Early Childhood’s (DEC) Community of Practice Committee to develop communities of practice within the organization. Ms. Gillaspy is a member of a Community of Practice Development Group, which supports the work of facilitators of communities of practice in early childhood. Ms. Gillaspy has worked at the Frank Porter Graham (FPG) Child Development Institute at the University of North Carolina at Chapel Hill and devoted 15 years to working directly with infants, toddlers, and preschoolers with disabilities and their families through Community Partnerships, Inc., a nonprofit serving individuals with disabilities. Megan Vinh, Ph.D., is an Advanced Technical Assistance Specialist at the Frank Porter Graham Child Development Institute at University of North Carolina Chapel Hill. Dr. Vinh currently serves as the PI of the STEM Innovation for Inclusion in Early Education (STEMI2E2) Center and the Co-PI of the Early Childhood Technical Assistance (ECTA). Dr. Vinh provides leadership, technical assistance, and evaluation support around improving state early intervention and early childhood special education service systems, increasing the implementation of effective practices, and enhancing outcomes of these programs for young children and their families. She also works to ensure young children with disabilities participate in and benefit from high-quality STEM teaching and learning. Dr. Vinh has facilitated numerous communities of practice and is a member of a Community of Practice Development Group, which supports the work of facilitators of communities of practice in early childhood. She specializes in program evaluation and systems change around access and equity issues, including reducing early care and education suspensions and expulsions and increasing high-quality inclusive opportunities. 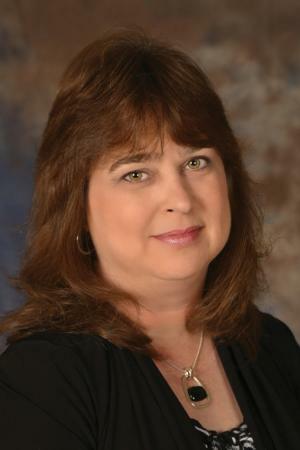 Teresa Byington, Ph.D. is an Associate Professor/Specialist in Early Childhood Education for the University of Nevada, Reno Cooperative Extension. She loves being engaged in professional learning. She facilitates several Communities of Practice and Professional Learning Communities for leaders, trainers, coaches and teachers. She trains early childhood trainers and coaches. She developed the Reflective Strength-based Coaching Model. She enjoys presenting at local, state and national conferences. She is excited to be publishing her first book. Wendy Pirie, M.H.Sc., is a consultant in preschool movement and the director of TimberNook New Zealand, which offers camps where children grow and learn through active, creative outdoor experiences. She has a special interest in the growth and development of the child through the relationship between the body and the brain. She is also passionate about empowering parents and educators to play with and engage children. Wendy lives in New Zealand with her husband and three sons. Angela Searcy, EdD, has more than 25 years of experience in education, providing services to children and families as a teacher, child-development specialist, and independent consultant. A former neurodevelopment specialist, she is the owner and founder of Simple Solutions Educational Services, a professional-development company. She is a trainer, a speaker, and a seminar leader at the Erikson Institute in Chicago, Illinois. 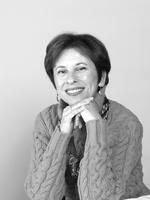 Natalie Silverstein, MPH, is the volunteer coordinator of Doing Good TogetherTM in New York City. She is a frequent presenter to parents, faculty, students, and community groups and is a contributor to parenting blog mommypoppins.com. She holds a Master's Degree in Public Health from Yale University. She and her family regularly make time to volunteer in their community. Featured in Red Tricycle: "5 Easy Ways to Volunteer as a Family, Even with a Busy Family Schedule"
Featured in Austin 360: "How to get started volunteering with children"
Featured on The Financial Grownup Podcast: "The Payback to Giving Back for Financial Grownups and their Families with Simple Acts Author Natalie Silverstein"
Dr. Dan welcomes author Natalie Silverstein to episode #57. Beyond the homework, screen-time, and endless activities, there are bigger challenges for modern parents: figuring out how to raise compassionate, generous, civic-minded children. In her new book, Simple Acts, Natalie Silverstein offers hundreds of practical ideas for incorporating service and the spirit of giving into your family life. Today’s show (and Natalie’s book) is a call to action for all parents to model good values, teach volunteerism, and ultimately help those in need. Spring break is upon us. We could head to a beach somewhere. We could hide out in our home binge-watching shows. We could create our own staycation at places in Austin that have kid-friendly activities right now. Or we could take this spring break and start a new family tradition: giving back to our community. Simple Acts author Natalie Silverstein, MPH sits down with the hosts of Better Connecticut to discuss the value and benefits of teaching children about kindness and making community service a priority in your family. Simple Acts author Natalie Silverstein, MPH sits down with the Mama Smiles Blog to share tips on creating family volunteer opportunities and getting kids interested in serving their community by giving back! Simple Acts author Natalie Silverstein shares her experiences with teaching empathy and acts of kindness to her family as she provides specific ways parents can give back to their communities with their family and friends on this episode of The Financial Grownup Podcast. Simple Acts author Natalie Silverstein shares her experiences with "playdates with a purpose" in this guest blog from For Purpose Kids. Rachel worked for 15 years as director of education at the Chippewa Nature Center in Midland, Michigan. 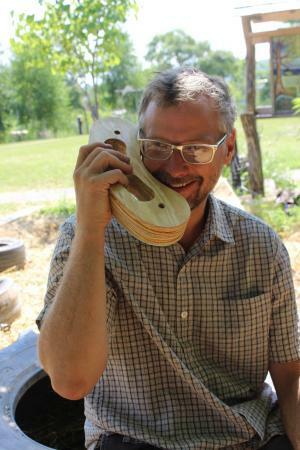 Not only does she write and speak extensively on connecting children to nature through high-quality, nature-based early childhood education, Larimore is also pursuing a PhD in curriculum, instruction, and teacher education at Michigan State University. Sally Haughey is the founder and owner of Fairy Dust Teaching, a company committed to the growth and empowerment of teachers. After 20 years of successfully teaching in various school settings, she has committed herself to what she loves most: inspiring teachers. Is a “No Contact” Policy Appropriate in the Early Ed Classroom? 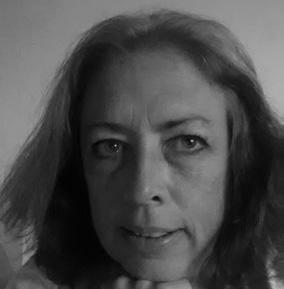 Deanna W. Clauson is a freelance writer. She earned her bachelor’s degree from the University of North Carolina at Chapel Hill. She writes articles, essays, grant applications, web-marketing content, and case studies. 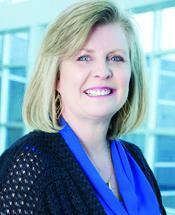 She serves on the boards of directors for several educational organizations. Erin Buhr has a M.Ed. in Early Childhood Education and over 15 years of experience working with young children. Currently she calls San Diego home where she loves going on adventures with her husband and their twins. You can read more about Erin and her adventures at www.erinbuhr.com. Creating Adventures doesn’t have to Be Complicated! 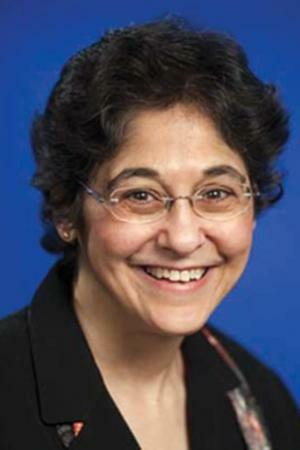 Sally Goldberg, PhD, also known as Dr. Sally, is a professor of education, author, and magazine writer. She authors a blog at www.earlychildhoodnews.net. Dr. Sally worked as an instructor of early childhood education on the adjunct faculties of Nova Southeastern University, Barry University, and the University of Phoenix. Well known for her tools and strategies for self-esteem development, she is a national conference presenter and a frequent guest on TV and radio. Sally, who grew up in White Plains, NY, has bachelor’s and master’s degrees from Cornell University and a PhD from the University of Miami. Alison Pepper is an early childhood education expert and consults in the areas of quality improvement, program design, leadership development, family engagement, accreditation, project development and training. 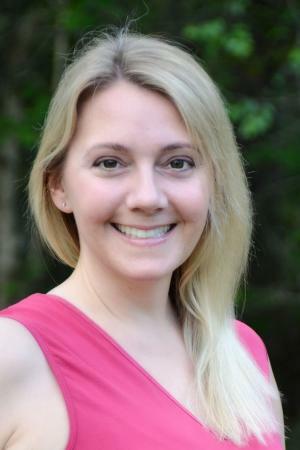 She has written articles for Young Children and Child Care Information Exchange and is a trainer for the Connect4Learning pre-K curriculum. She holds a master of science degree in education, early childhood supervision, and administration from Bank Street College of Education. Cathy Riley has more than 28 years’ experience in using the environment rating scales as a lead trainer, including her work at FPG and the UNC School of Public Health. She has served as a reliability anchor and data collector with projects using early childhood assessment instruments and child outcome measurements. Cathy is coauthor of the widely used All About the ITERS-R, as well as All About Preschoolers, an environment-based curriculum. She is a partner with ERSI. Debby Cryer, PhD, a retired scientist at the Frank Porter Graham (FPG) Child Development Institute at the University of North Carolina at Chapel Hill (UNC-CH), is cofounder of the Environment Rating Scales Institute (ERSI). Dr. Cryer has extensive experience assessing early childhood programs in varied settings. She is an author of a variety of resources for early childhood professionals, including the ITERS-R, FCCERS-R, SACERS, and SACERS-U. 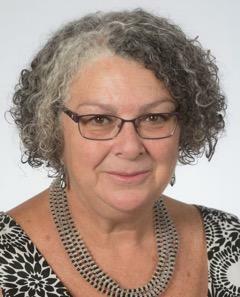 Donna Wittmer, PhD, is associate professor emerita of early childhood and early childhood special education in the School of Education at the University of Colorado, Denver. She earned her doctorate in child, family, and community studies at Syracuse University. A prolific author, she has written dozens of articles and books on early childhood development. She is a sought-after speaker and presenter worldwide. 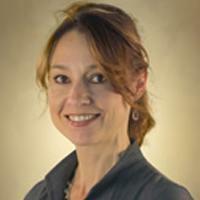 Kristen M. Kemple, PhD, is a professor of early childhood studies at the University of Florida. She serves on the consulting editors board for NAEYC and is an active presenter at major national conferences. She previously worked as a teacher in Head Start, as well as in a variety of other early childhood programs. 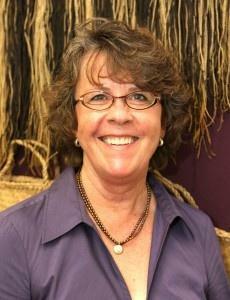 She has been an early childhood teacher educator for 30 years and has been fascinated by play since she was an infant. She is a founding faculty member of the Unified Early Childhood Proteach Program at the University of Florida, begun in 1992 as one of the first cross-departmental inclusive teacher education programs in the United States. She is the author of a wide variety of publications on early childhood development and education. Her current scholarship is focused on play, creativity, and social-emotional learning in early childhood. 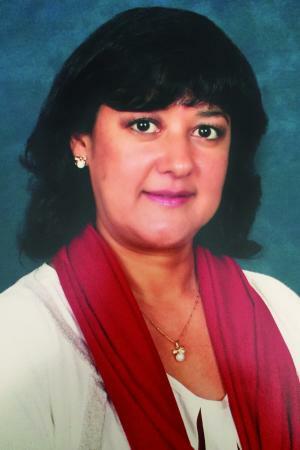 For more than twenty years, Carmen A. Castillo has held several positions as a teacher and principal. Currently, she is an educational consultant and trainer for schools in Mexico and abroad. She is also a presenter at national and international conferences. Yvonne Kogan is cofounder and academic principal of the early childhood and elementary departments of Eton School in Mexico City. She is a consultant on the project approach for several schools in Mexico and abroad. Her published works include From My Side: Being a Child and Engaging Children’s Minds: The Project Approach. 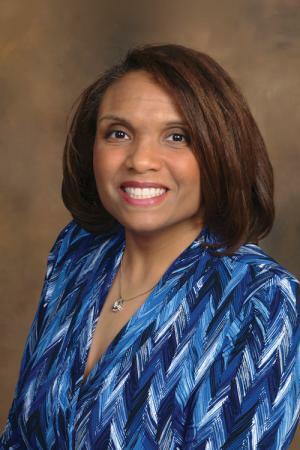 Shelley Nicholson, PhD, earned her PhD in curriculum and instruction, specializing in early childhood education, from the University of Texas (UT) at Austin. 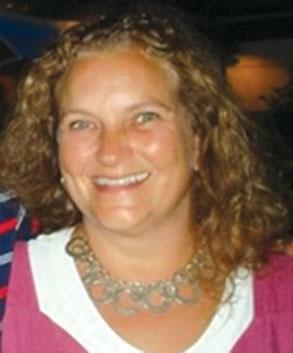 She serves as a manuscript reviewer for the Journal of Early Childhood Teacher Education. She conducts professional development seminars for early childhood teachers and is the owner and director of Nicholson Early Childhood Education Center, Inc., in Austin, Texas. 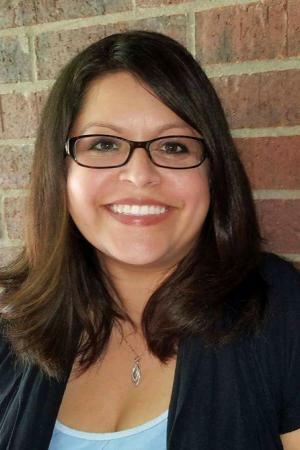 Jessica Martinez is the director of the Goddard School, a preschool in Austin, Texas. She attended the University of Texas at Austin. Angela Eckhoff is an associate professor of teaching and learning in the Early Childhood Education program and codirector of the Virginia Early Childhood Policy Center at Old Dominion University. She holds a dual PhD from the University of Colorado–Boulder in educational psychology and cognitive science. She is a coeditor of the Growing in STEM column for Young Children, published by the National Association for the Education of Young Children. 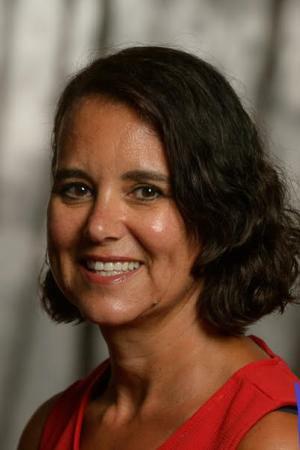 She lives in Norfolk, VA.
Warren Buckleitner, PhD, is a parent, teacher, and founding editor of Children's Technology Review, an electronic subscription service that publishes reviews of interactive media products. For ten years, he covered children’s technology for the New York Times. Buckleitner is an adjunct professor at the College of New Jersey. He holds a BS in elementary education, an MS in human development, and a doctorate in educational psychology from Michigan State University. See Dr. Buckleitner in action as he discusses his book Buckleitner's Guide to Using Tablets With Young Children. Susan MacDonald is the founder of Inspiring New Perspectives, a consultancy focused on empowering educational leaders to create programs that deeply respect and nurture the possibilities that lie within each child, parent, and teacher. 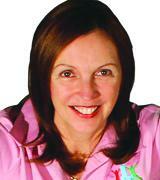 She has been developing and delivering inspirational courses and workshops for more than 25 years. Her background includes director of a Reggio-inspired preschool program, adjunct faculty at Lesley University and Wheelock College, and Commonwealth of Massachusetts licensing supervisor. She holds a master’s degree in instructional design, and several professional coach certifications. Rebecca Kreth entered the field of early learning more 30 years ago, earning degrees in early childhood education, and counseling psychology. She has worked with young children, their families, and communities through numerous educational and wellness practices. Her range of experience includes work as an early learning professional, training provision for early learning professionals, child and family counseling services, early childhood mental health consulting, and most recently as a grants manager. Rebecca has Anishinaabe heritage, and has served the Native community through the Office of Indian Education and Puget Sound Educational Service District. Rebecca has presented at both regional and national conferences, and her work continues to reflect a deep connection and commitment to the equity of educational opportunities for all young children, their families, and communities. 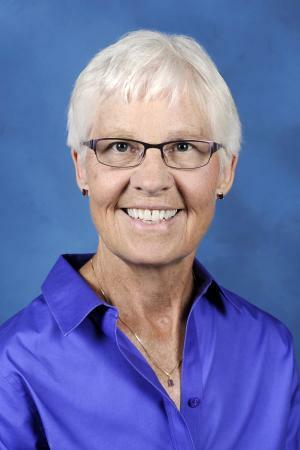 Debby Mitchell, EdD, recently retired from teaching in the College of Education at University of Central Florida, where she was an associate professor and coordinator of sports and fitness. 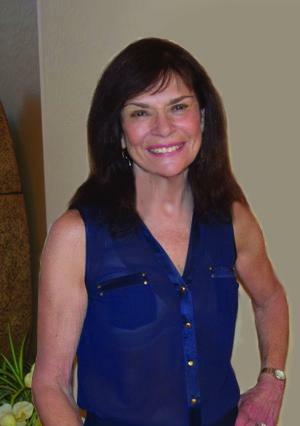 She has more than 35 years’ experience in physical education, coaching, fitness, and health, with research interests including brain research, developmentally appropriate movement activities and music, dance and rhythms, children's wellness, obesity, and integrating technology into the curriculum. She founded a company called GeoMotion Group to share her passion for encouraging people from all walks of life to be excited about physical activities and fitness. Mitchell promotes a love for movement by keeping activities simple, safe, and fun. She and her staff work with schools that want to improve learning and increase physical activity. Her programs are in more than 25,000 schools, and she has trained more than 1,000 preservice teachers in addition to publishing and delivering keynotes. Marnie Forestieri, CDA, is the founder and chief learning officer at Amazing Explorers Academy and the STEM SQUAD, a group of multidisciplinary experts from academia, technology, and business who understand the importance of introducing STEM principles in early childhood. Forestieri is an entrepreneur at heart with a passion for introducing innovative approaches to education. As a successful operator of large childcare centers, she has been recognized in the industry with awards such as the Center of the Year by FACCM and finalist for the Director of the Year Award. Forestieri has presented at several national conferences in Early Childhood. She holds a BS in Business Administration, a CDA, and a director's credential. Forestieri started her career as a CNN reporter and later became the vice president of marketing in a telecommunications company. Deirdre Sheridan Englehart, Ed.D, RYT, was an Associate Lecturer in the University of Central Florida's Early Childhood Development and Education program. In 2008, she earned her doctorate degree in curriculum and instruction and early childhood education and previously earned her master's degree in mathematics and science education at the University of Central Florida. She was a previous primary grade teacher in Orange County Public Schools and taught two years as a Teacher-in-Residence at the Orlando Science Center. She taught undergraduate courses in science and technology, creativity, integrated arts and children's literature. She wrote several books for teachers and developed curriculum related to science and integrated arts. She was a part of the team that wrote the Voluntary Pre-K Standards in Florida. Her research interests included children's nonfiction literature, science education and the integration of yoga and movement with young children. Dr. Englehart lived in Deltona, FL. She passed away in 2016. Junie Albers-Biddle, Ed.D. is an Associate Lecturer of Early Childhood Development and Education in the College of Education and Human Performance at the University of Central Florida. 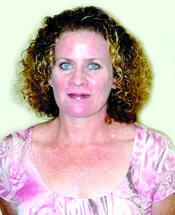 She has over 27 years of experience in the field of early childhood education. She has dedicated her career to working with young children, teachers of young children, and pre-service teachers in early childhood education. Albers-Biddle has presented at several national and assisted in the develop of the current Florida Teacher Certification Examination prekindergarten to grade three. She earned her doctorate degree in curriculum and instruction with a research focus in early childhood teacher preparation and implications for the PreK-3rd Continuum. Albers-Biddle lives in Clermont, FL. Rebecca Green is the creator of Not-So-SAHM, a family-friendly lifestyle blog where she writes about arts and crafts, field trips, DIYs, recipes, party fun, and all around silliness of her family. Rebecca started Not-So-SAHM in 2011 when she decided to take a break from practicing law to spend more quality time with her family and pursue creative endeavors. Rebecca loves cappuccinos, sarcasm, running long distances by herself, graphic design, photography, and mid-century modern furniture (probably in that order). She lives in Washington, D.C. with her husband and two mischief-making children, and believes there is no such thing as being bored. 5 Super Fun Ideas for Family Fun Month! Katharine C. Kersey, EdD, is former professor of early childhood education and director emerita of the Child Study Center at Old Dominion University, Norfolk, Virginia. 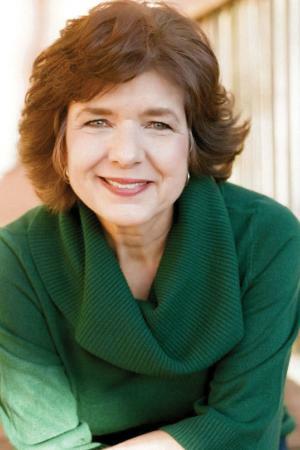 She served as chairperson of the Department of Early Childhood, Speech Pathology, and Special Education for twenty-two years, and is an author, national speaker, child-behavior expert, and parent educator. 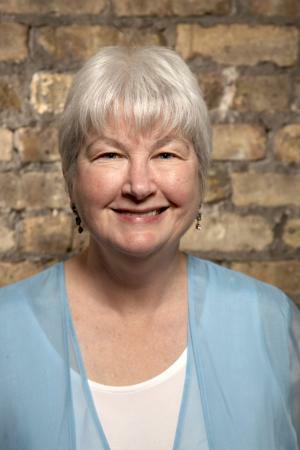 Marie Masterson, PhD, is director of quality assessment at McCormick Center for Early Childhood Leadership and former professor of early childhood education. 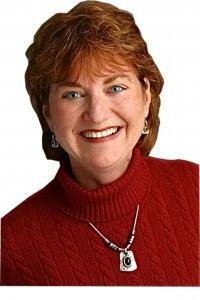 She is a national speaker, child behavior expert, researcher, and author. She is an educational consultant to state departments of education, schools, childcare centers, and social-service and parenting organizations. Dr. Masterson is a Fulbright specialist and former early childhood specialist for the Virginia Department of Education. Tricia Shelton has been an early childhood educator for 17 years. 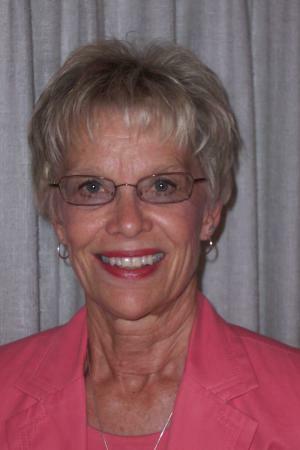 During that time, she taught first and third grades and served as an elementary school principal. Considering herself a life-long learner, Dr. Shelton holds a Master’s Degree in Education and a doctoral degree in Curriculum and Instruction. Her research interests include teacher attitudes and inclusion of students with ASD. To assist local organizations in efforts to provide inclusive environments for youth with ASD, Dr. Shelton has volunteered as an autism consultant with several local community organizations. She was a 2014 finalist of the Pennsylvania Autism Connection Temple Grandin Award. Dr. Shelton has published with the Keystone State Reading Association (KSRA). Her article, Supporting Students with Autistic Spectrum Disorders in Inclusive Literacy Classrooms, was featured in the 2012 Spring/Summer issue of the professional journal, Pennsylvania Reads. Her research was presented at the 2012 Pennsylvania National Association of Multicultural Education (PA-NAME) conference at Millersville University, the 2013 Eastern Education Research Association (EERA) conference in Sarasota, Florida, and the 2014 National Autism Conference at the Pennsylvania State University. Dr. Shelton lives in Monroeville, PA.
Watch this webinar witih Dr. Shelton as she discusses her book Practical Strategies for Supporting Young Learners with Autism Spectrum Disorder. Jennifer J. Chen, EdD, brings her personal insight into the challenges that diverse students face in the classroom: When she immigrated to the United States from China as a teenager, she spoke Chinese and had to learn English. 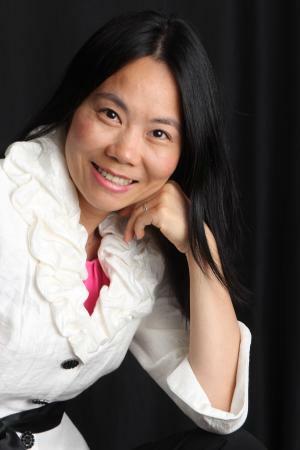 Dr. Chen is an associate professor of early childhood and family studies at Kean University in Union, NJ. Chen was a Fulbright Scholar in 2013-2014 in Hong Kong and earned her EdD and EdM from Harvard University. See Dr. Chen present "Diverse Strategies for Communicating with Dual Language Learners" in this free webinar. Sign up to get a FREE CE certificate and find more great webinars from Gryphon House authors. Jill Stamm, PhD, is the cofounder of New Directions Institute for Infant Brain Development. 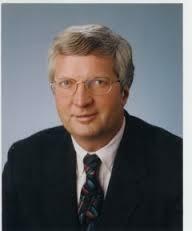 Dr. Stamm has been an associate clinical professor at Arizona State University in Tempe for more than 25 years. She is the developer of Brain Boxes, a unique set of products designed to help adults interact with young children to encourage healthy brain development. She is an international speaker on brain research and serves on the advisory board for the Learning & the Brain Conference series. See Dr. Stamm discuss the value of nurturing cognitive development in the first 5 years of life in this fascinating webinar! See Rusty Keeler in action as he walks viewers through his book, Seasons of Play. Listen to learn how you can earn a CE credit for watching! Constant Hine lives in Denver, Colorado. Constant is an early childhood consultant, adult educator, coach, and author. She works with educators, care-givers, business professionals, and managers throughout North America. Constant has an M.A. in Education. Constant has been the owner and president of Horizons In Learning since 1988. Horizons In Learning offers professional development services including: college level courses, seminars, consulting, mentoring, coaching. Agency-level services are also offered, including group/retreat facilitation and organizational transition consulting. Horizons In Learning specializes in facilitating respectful learning for sustainable change for individuals and teams to increase their skills and perspectives to be more effective and to deepen professional practices that support educators who work with children and families. In addition, Horizons In Learning supports individuals to handle stress proactively, to promote respectful relationships and communication, and to create sustainable positive habits. Horizons In Learning also offers customized and personal help to organizations when they need to proactively respond to change and move efficiently and effectively through implementation actions. Constant is known as a coach's coach, broadening and deepening the skills and mastery of coaches and mentors. Over 15 years ago Constant Hine developed a Coaching For Success Program, a model for facilitating ongoing professional development efforts using a continuum of intentional facilitation strategies. 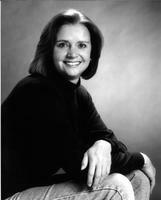 Bonnie is the founder and executive editor of Exchange Press. 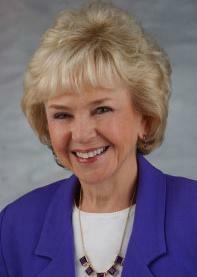 She is also the founder of the Substitute Bank for Child Care Centers. Saroj Nadkarni Ghoting is an early childhood literacy consultant and national trainer on early literacy with more than thirty-five years’ experience as a children’s librarian. She presents early literacy training and information sessions at national, regional, and state conferences, and trains library staff and child care providers. She has been a consultant for the Public Library Association and the Association for Library Service to Children of the American Library Association on an the Every Child Ready to Read @ your library® early literacy initiative for the Association for Library Service to Children. Amy Read is an early literacy program manager for a public library system. She provides literacy programs for early childhood educators as well as parents of young children. She has a master of science in child development and family relations, and over twenty-three years she has worked in a variety of child- and family-related programs. She has taught two-year-olds in a university-run preschool, has worked with undergraduate students completing their internships, and has taught a variety of early childhood education and child development courses for universities and community colleges. Additionally, she has worked as an early interventionist with families whose children have developmental delays or at-risk behavior. She has received Level 12 Early Educator Certification from the North Carolina Institute for Early Child Development Professionals and a professional development endorsement. She presents workshops and training programs at national, regional, and state conferences on a wide array of child, family, and education issues. She is a coauthor of a children’s book, Scribbleball: The Crazy ABC Book! See Amy Read discuss the strategies in her book "Time for a Story: Sharing Books with Infants and Toddlers" and offer helpful activities for pre-literacy learning. Register with edWeb and get a CE certificate when you watch! 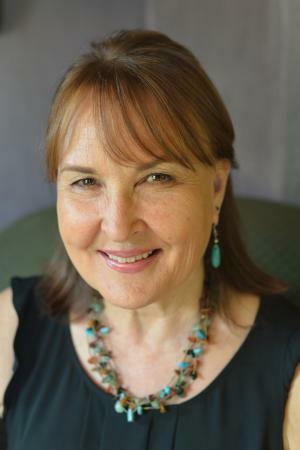 Barbara Sorrels, EdD, is executive director of The Institute for Childhood Education in Tulsa, Oklahoma, a professional-development and consulting firm for those who live and work with children. 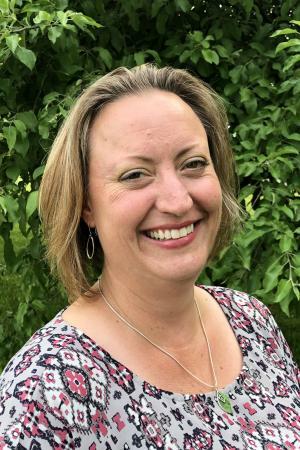 She has more than twenty years of child care, kindergarten, and elementary teaching experience, as well as more than five years’ experience teaching graduate and undergraduate students at the university level. Dr. Sorrels holds a doctorate in early childhood education from Oklahoma State University, a master’s degree in Christian education from Southwestern Seminary, and a bachelor’s degree from the University of Maryland. She and her husband have two daughters and one new granddaughter. Get a FREE CE certificate when you watch this fascinating webinar with Dr. Sorrels, "The Impact of Trauma on Growth and Development." Barbara Sorrels interviewed on Studentcentricity: "What You Might Not Know about Misbehaving Students, But Should." 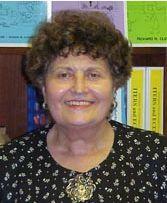 Mary Renck Jalongo, PhD, is an internationally respected educator, author, presenter, editor, and consultant. She is a professor of education at Indiana University of Pennsylvania, where she coordinates the doctoral program in curriculum and instruction. She is the author of more than 25 books and is the editor-in-chief of Early Childhood Education Journal. Mary Jalongo interviewed on Studentcentricity radio show: "When You Don't Speak the Same Language: Making ELLs Feel Welcome." Dawn C. Oparah serves as a trainer and consultant for school systems, community based organizations, and businesses. She specializes in training and consultation in management, personal leadership development, school improvement strategies, human relations skill development, and community and organizational development. She provides Technical Assistance to non-profit organizations in the areas of board development, strategic planning, marketing, program planning and evaluations, and resource development. 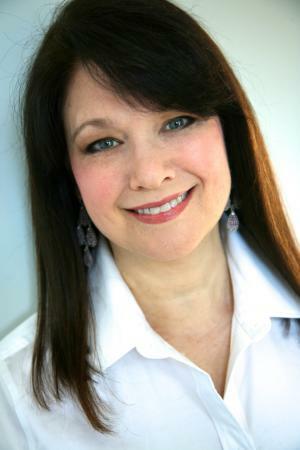 Karen Bush Gibson is the author of more than 30 non-fiction books for children, including Women in Space, Women Aviators, and Native American History for Kids. 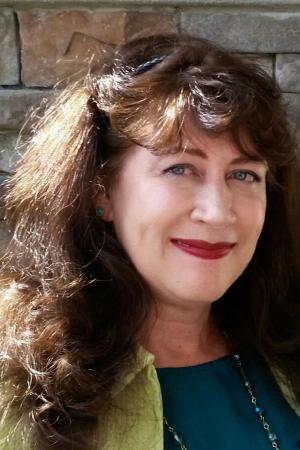 She is also the author of an adult mystery, A Class on Murder. Karen has worked in social work and education, but her heart has always been drawn to writing. She has been a freelance writer for too many years to count and most often writes on travel, parenting, and interesting people when not writing books. In her spare time, she enjoys photography, hiking, and reading. Nancy and Jeff Sanders make their home in southern California. They have two adult sons, Danny and Ben. Their cats Sandman and Pitterpat add lots of hilarious moments to their family. Nancy grew up the youngest of seven children on a dairy farm in Everett, Pennsylvania. She helped milk the cows, bale the hay, drive the tractor, and pick giant weeds out of their humongous garden. After moving to California when she was 20, Nancy and Jeff met and were married. As a stay-at-home mom for more than 20 years, Nancy found true enjoyment in taking pen to paper and learning the craft of writing. Much of Nancy’s time is spent writing books and working on various manuscript projects. Her favorite topics to write about are God, Bible stories, educational subjects, and African American history. Some of Nancy’s favorite hobbies include taking walks, sewing patchwork quilts, gardening, and capturing the beauty of God’s wonderful creation on film. She enjoys watching birds and butterflies, and has fun taking photos of hummingbirds that visit the flowers just outside their kitchen window. Valerie Petrillo is a published author of children's books. Published credits of Valerie Petrillo include A Kid's Guide to Asian American History: More than 70 Activities (Kid's Guide series, A), Sailors, Whalers, Fantastic Sea Voyages: An Activity Guide to North American Sailing Life, and Sailors, Whalers, Fantastic Sea Voyages: An Activity Guide to North American Sai. Biography: Thelma Harms is director of curriculum development at FPG Child Development Institute and a research professor at University of North Carolina at Chapel Hill School of Education. Dr. Harms is recognized internationally for her work on creating high quality early childhood environments and assessing educational settings. For 15 years she served as head teacher at the Harold E. Jones Child Study Center, UC Berkeley. She has developed a variety of curriculum materials and staff training resources. Much of her recent training and consultation has focused on the use of the scales in technical assistance, and on helping government agencies to develop accountable systems for recognizing and rewarding high quality programs. 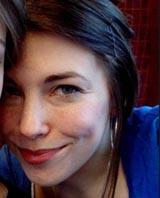 Kelly Huegel is a staff writer for the Humane Society of the United States. Previously, she worked for the Metropolitan Washington DC chapter of PFLAG, where she helped provide support and educational services for GLBTQ people and their families. The author of two books and more than fifty published articles, Kelly has a special passion for working with teens and holds a degree in secondary education. She lives in Maryland with her partner, Margaret. Kelly welcomes readers to follow her updates on GLBTQ politics and people or message her direct via Twitter at @GLBTQguide. Janet Fox writes award-winning fiction and nonfiction for children of all ages. 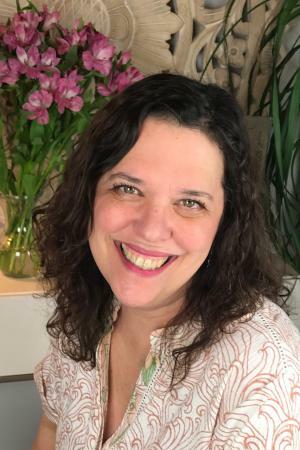 She became a children’s author in the mid-90s when her son’s learning differences inspired her to develop her nonfiction book for Free Spirit Publishing, Get Organized Without Losing It. Other work for children includes short fiction in SpiderMagazine and science nonfiction in Highlights for Children. Her young adult debut novel Faithful(2010) was an Amelia Bloomer List pick. It was followed by the companion novel Forgiven (2011), a Junior Library Guild selection and WILLA Literary Award Finalist. Her most recent young adult novel is Sirens (2012). Janet is a 2010 graduate of the MFA/Writing for Children and Young Adults program at Vermont College of Fine Arts, a former regional advisor for the Society of Children’s Book Writers and Illustrators, and a former high school English teacher. Janet lives in Bozeman, Montana, where she and her husband enjoy the mountain vistas. 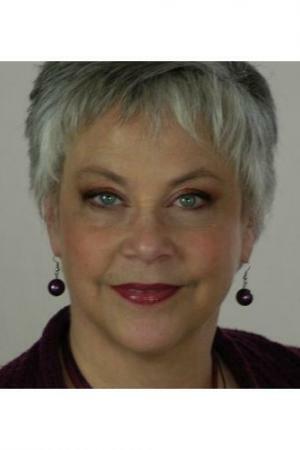 Karen Unger, M.A. is a writer and editor of books for young people. She also publishes articles on parenting and family issues online and in newspapers and magazines. While working for the Girl Scouts of the USA, Karen produced resources on important topics for girls and young women. Currently a writer for a private school, Karen lives with her family in New York. Harriet S. Mosatche, Ph.D., is director of program development for the Girl Scouts of the U.S.A. She has written extensively for girls, youth leaders, and professional journals. 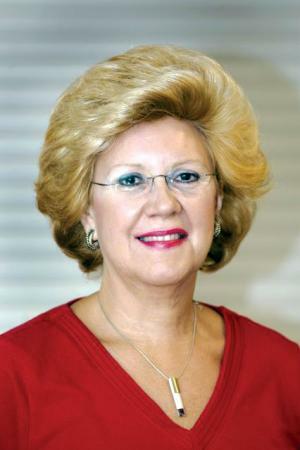 Roberta Beyer is a retired lawyer and mediator who helped families through the divorce process. She is the coauthor with Kent Winchester of What in the World Do You Do When Your Parents Divorce? Roberta’s favorite things to do are fly-fishing, gardening, and cooking. She lives in Albuquerque, New Mexico, with her husband Kent and their dogs. Kent Winchester is a retired trial lawyer whose focus was on helping women who were sexually harassed and people who were treated unfairly by big corporations. He’s the father of two children, Ian and Shauna. He loves to backpack, fly-fish, and read. Kent is the coauthor with Roberta Beyer of What in the World Do You Do When Your Parents Divorce? He and Roberta are married and live in New Mexico with their dogs. Barbara Plum taught in the ECE Associate Degree Program at the University of Kentucky-Jefferson Community College and facilitated a child development associate (CDA) practicum, working with candidates from Head Start, Even Start, and child care centers. Ms. Plum had a master’s degree in early childhood curriculum and instruction from the University of Wisconsin. She is deceased. Biography: Mary Henthorne is a retired educator after working for more than thirty-three years in the early childhood field. She continues to do trainings on Transition Magician and positive guidance techniques. Mary also consults and writes children's books. Rebecca Kajander, C.P.N.P., M.P.H., has treated children and adolescents for nearly 40 years, has helped hundreds of children take care of themselves using self-care skills, and helped many more understand and live with ADHD. 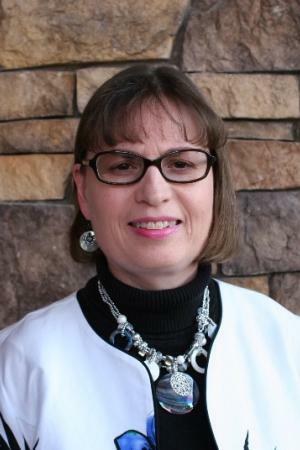 In 2000, Rebecca was named “Pediatric Nurse Practitioner of the Year” by the Minnesota chapter of the National Association of Pediatric Nurse Practitioners. Rebecca has been a lifelong resident of Minnetonka, Minnesota. She’s married and has a grown son. When not working, Rebecca enjoys yoga and doing just about anything outdoors. 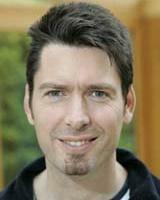 Timothy Culbert, M.D., is a behavioral and developmental pediatrician with training in biofeedback, medical hypnosis, and holistic medicine. He gives presentations nationally and internationally and publishes widely on mind-body skills training with children and teens. He has helped kids in clinical practice for two decades, with special interests in teaching kids self-care skills and complementary and alternative medicine. He is currently medical director for the Pediatric Integrative Medicine Program for Ridgeview Medical in Chaska Minnesota. 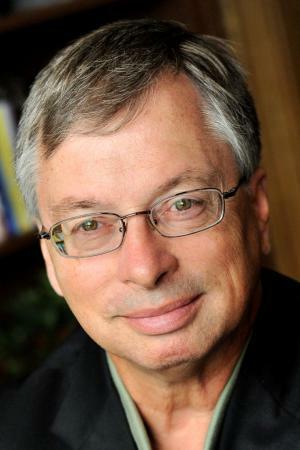 He also serves as clinical faculty for the University of Minnesota Medical School. Tim lives in Minneapolis, Minnesota, and enjoys traveling, cooking, writing, hiking, and various creative endeavors. Sharon Bowman is the president of Bowperson Publishing & Training, Inc. She has been a professional speaker, author, teacher, and trainer for over forty years. She works with businesses and educational institutions that want to offer exceptional in-house training and professional development programs. NAA is the membership association for professionals who work with children and youth in diverse school and community-based settings to provide a wide variety of extended learning opportunities and care during out-of-school hours. Our members include afterschool program directors, coordinators, sponsors, front-line staff, school leaders, principals, teachers, paraprofessionals, board of education members, non-profit leaders, advocates, community leaders, policymakers, researchers, and more. We respect and celebrate our diversity. NAA is working to assure that the vision of high-quality learning experiences for all children and youth, both in and out of school, becomes a reality through the application of the NAA core competencies in afterschool programs. NAA recognizes that quality afterschool programs provide positive child and youth development and meet a critical need for keeping kids safe and families productively employed. NAA understands that families need a wide range of interesting and age-appropriate programming choices to be available and accessible when their children are not in school. 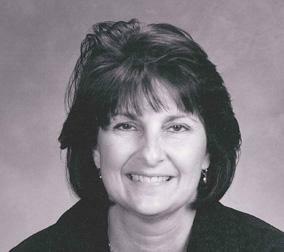 Susan A. Miller, EdD, is a Professor Emerita of Early Childhood Education at Kutztown University of Pennsylvania. 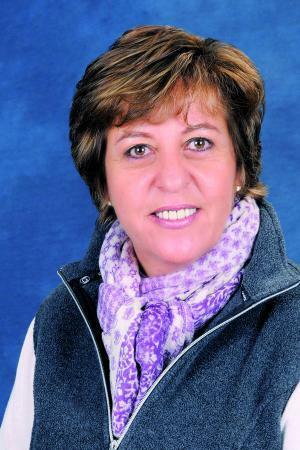 She has a long career in education spanning forty years as a preschool teacher and director, primary teacher and master teacher at two laboratory schools, and a university professor. 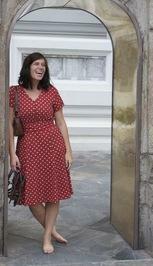 Susan was also the Coordinator of KU's England Summer Study Abroad Program. She is actively involved with national and international groups devoted to young children. A keen advocate for desirable conditions, programs, and practices for children, she has led delegations of teachers to China and Cuba for People-to-People. Susan serves on the Executive Boards of the World Organization for Early Childhood Education - United States National Committee (OMEP-USNC) and the Association for Childhood Education International (ACEI). She received the Outstanding Member Service Award for ACEI. Susan is a regular presenter at conferences of the National Association for the Education of Young Children and was a Validator and Commissioner for NAEYC's Accreditation Program. 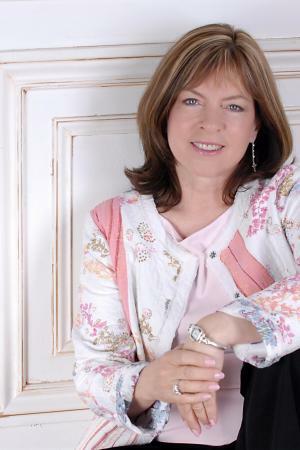 Writing for young children, their parents and teachers is a passion for Susan. She has written over 450 articles and columns. 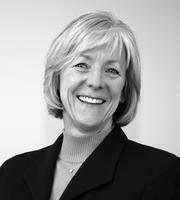 Susan is considered to be an expert on the ages and stages of development for threes and fours. 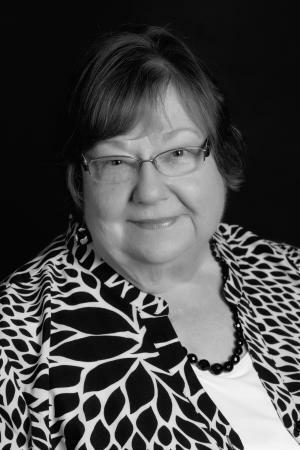 She has been an author or consultant for nearly 25 books for Scholastic and Publications International, Ltd.
Now living and writing in Vermont and San Antonio, TX with her son and two grandsons, Susan enthusiastically mentors and provides workshops for emerging young writers in the Northside Independent School District. Carol Thompson is an English author/illustrator living in a small town in the middle of England. Her childhood was spent in the East Anglian Fens, a wild landscape of flatland, water and huge skies. As a child she cycled everywhere - and still does! She graduated with a BA in textile design, and worked as an illustrator in a small studio, eventually finding her place in the wonderful world of children's picture books. 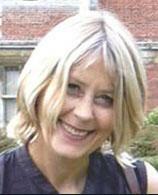 Carol is now the illustrator and in some cases the author/illustrator of more than sixty books. Her work has been translated into more than twenty languages, including Lebanese and two indigenous Sioux languages, Dakota and Ojibwe. Somewhere in between she also raised three sons. 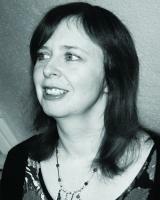 Carol is a member of The Society of Authors and The Society of Children’s Writers and Illustrators. She is a committee member on IBBY (the International Board on Books for Young People), whose aims are to promote international understanding through children's literature and to ensure that children everywhere have access to good books. Jo Empson lives in Wiltshire, and recently graduated from Cambridge School of Art with a Masters in Children’s Book Illustration. Her background as a graphic designer has had a great influence on her work, and she especially loves children's book's created by ex-designers, such as the great Eric Carle. My path towards illustration began in first grade math class. I spent hours fixated on my teacher’s woolly cardigan, imagining the fibrous tufts into sublunary shapes: whale sharks, moon dust, neon octopus suckers. In retrospect, these early ventures into re-arranging reality serve to illuminate my clear decision to become an illustrator. I feel hugely grateful to my family and friends, as well as my tutors and colleagues from the BA Studio Art course at Macalester College in St. Paul, Minnesota and the MA Children’s Book Illustration program at the Cambridge School of Art at ARU, who have helped me to become the person I am today (parrot squawks and all). Hannah grew up in Dorset, England, and was drawing and writing stories as soon as she was old enough to hold a pencil. After teaching in a primary school in Malaysia (and doodling many pictures on the blackboard), it dawned on her that putting pictures and words together was how she wanted to make a living. 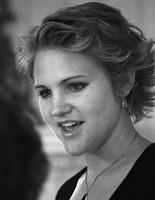 She went on to study Illustration at University College Falmouth, graduating in 2007 with First Class Honours. She has twice gained Highly Commended in the Macmillan Children’s Book Prize for her original picture book ideas and was commissioned to illustrate her first book, ‘The Gift’, written by Victoria Field for Fal Publications, while at university. She has produced work for a number of clients since, including Brightday Publishing, the NSPCC, and the Welsh Assembly. Hannah enjoys walking up hills (Eggardon Hill in Dorset is her favourite), baking experimental cakes, drinking tea, and with her artist sister Chloe, forms an as yet unbeaten Pictionary team. 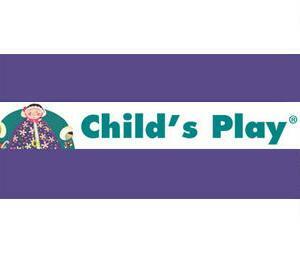 Child's Play is an independent publisher, specializing in whole child development, focused play, life skills and values. Child's Play products bring out the best in children (and adults) of all levels of ability, enabling them to work and play together. Our program consists of books, games, toys and associated materials. Since the company was founded in the UK in 1972, our program of books, games, Storysacks® and audio-visual material has enjoyed widespread international recognition, with a Head Office in the UK, offices in Australia, and distributors in many other countries. Based in Minneapolis, Minnesota, Free Spirit Publishing is known for its unique understanding of what kids want (and need) to navigate life successfully. Our reputation as the leading publisher of Self-Help for Kids® and Self-Help for Teens® is grounded in books and other learning materials that are practical, positive, pro-kid, and solution focused. We’re not afraid to tackle tough topics such as teen depression, kids and anxiety, grief and loss, juvenile justice, and conflict resolution. Free Spirit also offers sound advice with a sense of humor on relevant issues including stress management, character building, puberty, school success, self-esteem, service learning, and more. We aim to meet all kids—toddlers, teens, and in-betweens—where they are (not where we wish they were), and support them to develop their talents, build resiliency, and foster a positive outlook on life so they can reach their goals. In early 2007, Free Spirit formed an Advisory Board of Educators, a diverse group of K–12 teachers, counselors, librarians, administrators, and social workers who provide us with valuable feedback about our products. In early 2008, Free Spirit added the Teen Advisory Council, whose members contribute opinions on design, art, and content. With the boards’ input, our books stay current, credible, and extra beneficial for children, teens, and adults. Otis Kriegel is a 12-year veteran elementary school teacher, having taught in dual language (Spanish/English), monolingual, and Integrated Co-Teaching (ICT) classrooms. He received his M.S.Ed. in bilingual education from the Bank Street College of Education, and is adjunct faculty at the Steinhardt School at New York University. He has been a guest lecturer at the Bank Street College of Education, City College of New York, and Touro College. 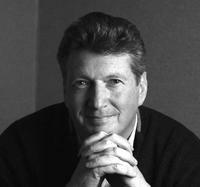 He created the workshop, “How to Survive Your First Years Teaching & Have a Life,” which was the impetus for his book. An experienced presenter, Kriegel has conducted this workshop with hundreds of preservice and new teachers and continues to present in universities and teacher education programs. He founded the parent advice website The K5 (www.thek5.com) to help parents of elementary school-age children. 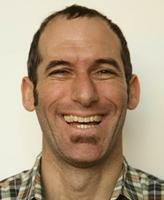 You can reach him through www.otiskriegel.com and follow him on Twitter @mynameisotis. Otis lives and works in New York City.